Available for FREE to everyone at Bethel! Our Pastors are always looking for ways to help you develop and strengthen your faith and grow as a disciple of Jesus. We believe that RightNow Media will be a tool to serve you as you live out your faith at home, at work and in your neighbourhood. RightNow Media has videos for everyone—kids, youth, parents, married couples, college students, single adults, working professionals—all aimed at helping you grow. To access these fantastic discipleship resources, simply click the link below, sign up for an account, and you’re all set to explore more than 12,000 videos. 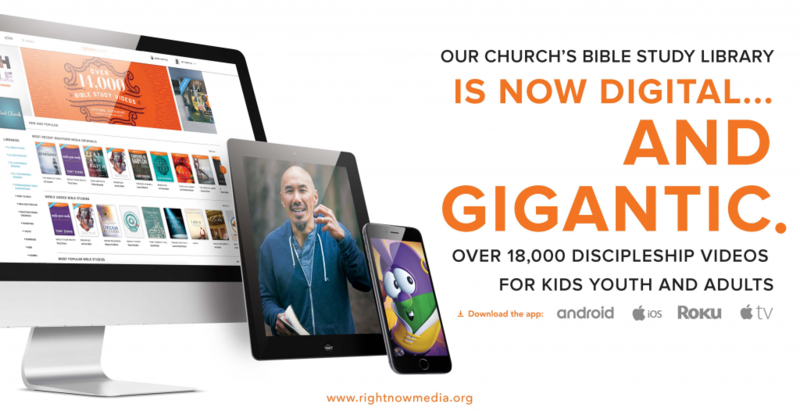 We pray that RightNow Media will be a blessing for you and your family! Not sure what you’re signing up for? Check out RightNow Media’s YouTube page for promo clips on many of the resources you’ll have access to after you create your own free RightNow Media account!